Tuesday 30th September 2014 – 3.05pm – Suzie Wheaton. 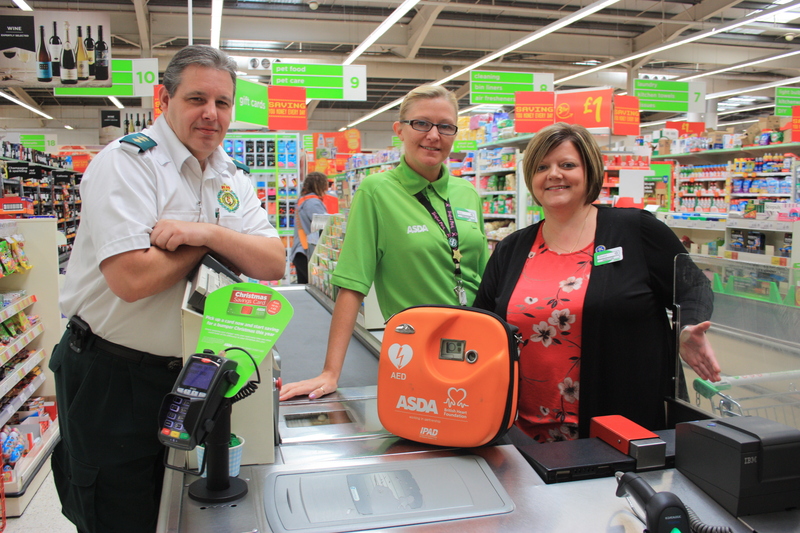 ASDA stores throughout Staffordshire have now been fitted with lifesaving defibrillators. The specialist devices are being installed in all ASDA’s stores throughout the country in conjunction with the British Heart Foundation. A defibrillator is a device that can be used to restart someone’s heart when they’ve suffered a cardiac arrest. These machines are extremely easy to use, meaning people of all ages and walks of life can provide emergency care to those who need it, quickly and effectively prior to the arrival of an ambulance. Over the last few months members of staff from the retailer have undertaken training in the use of the lifesaving equipment and first aid to ensure that if any shoppers become seriously ill whilst at the centre, they are given the best possible chance of survival. WMAS Community Response Manager, Matt Heward said: “The ambulance service strongly believes that by having defibrillators installed in public places, such as shopping centres, schools and business premises, and having people trained in their use and basic first aid techniques, really can help to save lives. Bev Capon, Community life Champion at ASDA said “I can safely speak for all Asda store managers and colleagues when I say we are proud to part of this fantastic initiative. 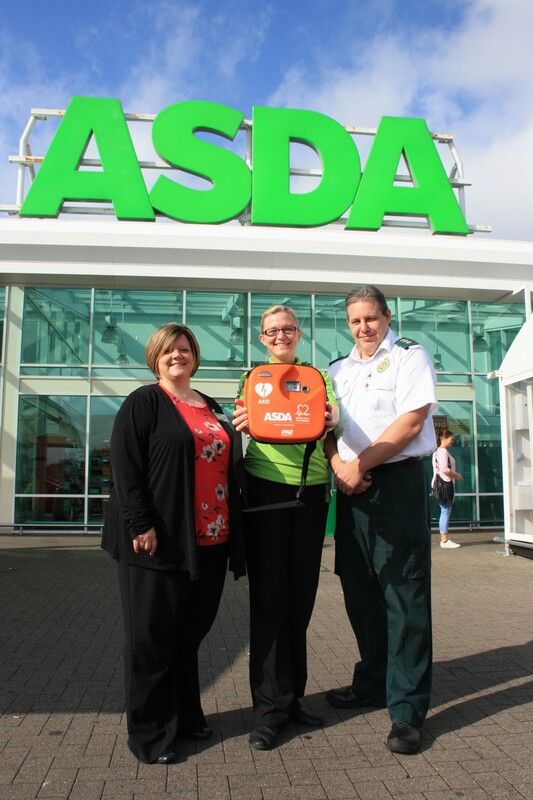 “Here at Asda Tunstall we have had cause to use our defibrillator when one of our colleagues suffered a cardiac arrest in store. The colleague made a full recovery and is now enjoying his retirement with his family. “If we can help save just one life in our local community, then the device location will be more than worthwhile.